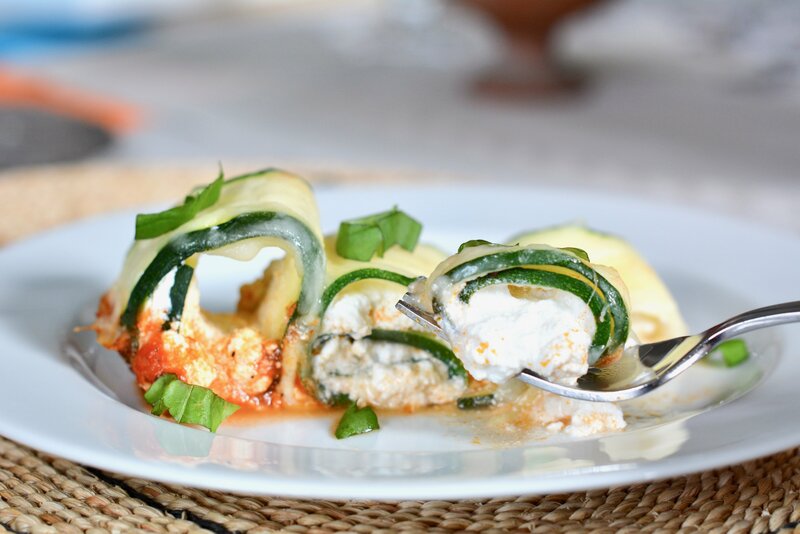 The zoodles (zucchini noodles) craze inspired me to try zucchini as pasta in a different form: lasagna noodles. And guess what? 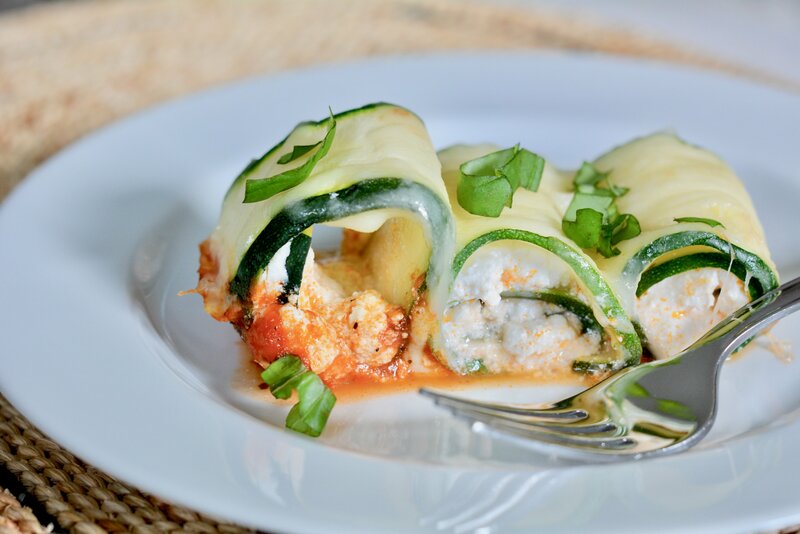 My husband and kids devoured the zucchini roll-ups in a matter of minutes. I made these vegetarian for a meatless Monday meal, but you could definitely make them with crumbled sausage or beef if you prefer. There are so many variations! This the perfect recipe for spring and summer; it’s fresh and delicious. Enjoy! 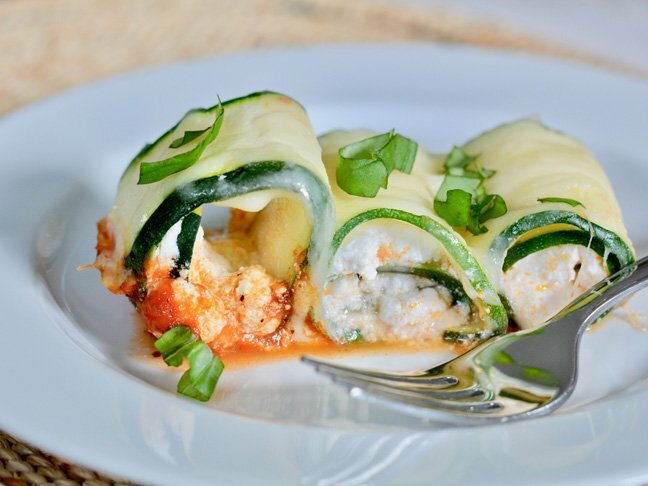 Here's a tasty way to use zucchini instead of noodles. Step 2: Spread the marinara sauce onto the bottom of a 7x11 baking dish and set aside. Step 4: Roll up the zucchini and place it seam side down in the baking dish. Sprinkle the shredded cheese on top and bake for 25 minutes, or until the cheese is melted and the sauce is bubbly. 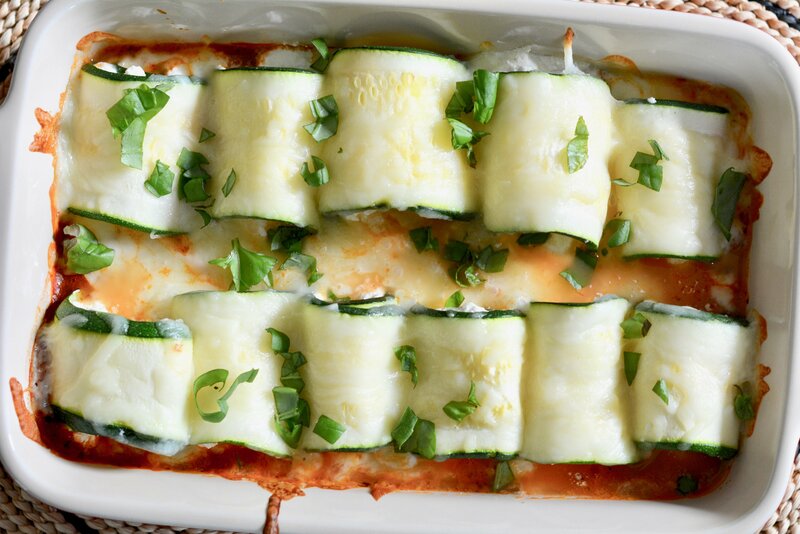 Remove the rolls from the oven, sprinkle the basil on top and serve hot!